This is a place that you will never expect to find in such a metropolitan and big city such as Barcelona. But it actually exists. Just 30 minutes away from the city center, the delta of the river Llobregat is actually the second in size delta in the area of Catalonia and one of the most interesting. The delta and the area around it are considered to be a preserved area and you can find there a huge variety of animals and plants. Around it there you can find many agricultural farms as well as the Port of Barcelona and the El Prat Airport. If you are also interested in bird-watching and plants, there you can find 22 unique species of orchids as well as many species of birds since the park is in their way when migrating from the Europe to Africa. Many people paddle surf and do kayak excursions in the Delta, so if this is something that interests you, then this is the place for you. Another nature reserve that is very close to the city centre and you can enjoy when visiting Barcelona. This is one of the least known and relatively underestimated green spaces in Spain. Locals support that besides the fact that is filled with historic sightseeings worth seeing, it is also one of the best places to enjoy the view of the city at night. It is extremely popular with natives that go to Collserola for running, for bicycling. It also attracts nature lovers and also people that want to enjoy the magnificent view. A tip for you: Visit the park after a day of bad weather. Then, you will be able to get the best view of the city. Barcelona has many other spots and nature reserves to visit. For example the Montseny Natural Park. 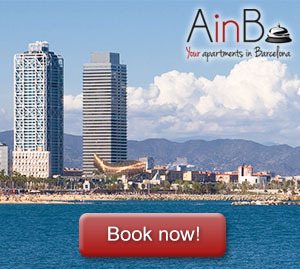 So, in order for you to enjoy those all you need is to rent an apartment in Barcelona and in one of its many colorful areas for you, your friends or your colleagues, with all the amenities and begin your journey of exploring this great city that has so many things to offer.